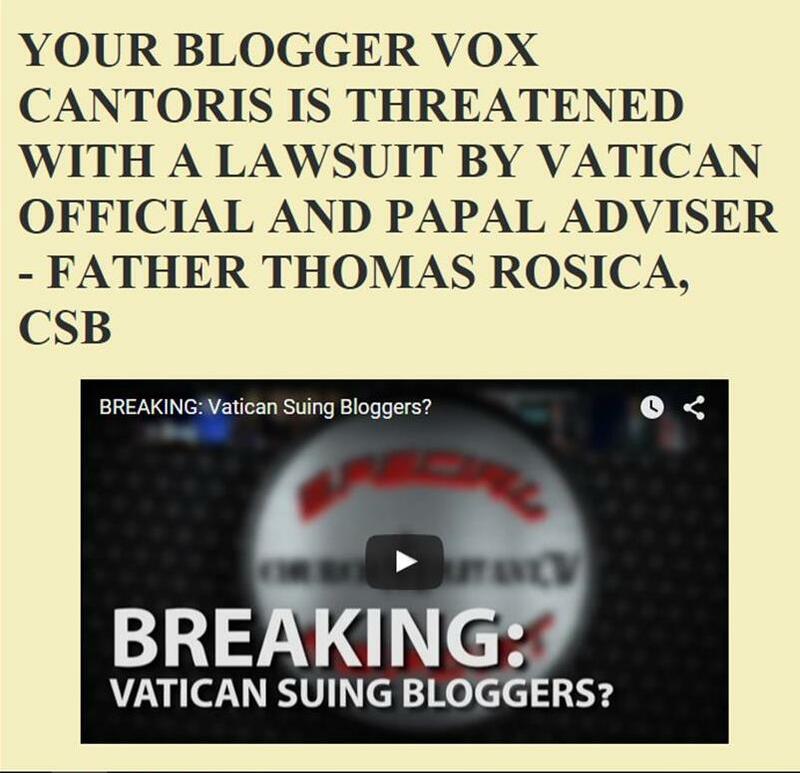 Vox Cantoris: Mother Angelica! Requiescat in pace. Mother Angelica! Requiescat in pace. If she didn't make it, there is no hope for any of us. God rest your magnificent soul Mother. You have gone to meet the Love of your life. She had more courage, faith and lion-hearted spirit than mostly every North American bishop! I recall watching her shows in the '90's. She would shake her finger and say "Go to confession." I did. May she rest in peace with Our Lord Whom she loved so much. It's very appropriate that Mother Angelica passed away today, the Feast of the Resurrection. She would always urge people to go to Confession, promoted devotion to Our Lord in the Holy Eucharist, spread the Faith by TV, radio and now the internet. I was actually able to call in and ask her a few questions on her live shows. My dad and I loved her (he was the same age as Mother Angelica). He passed away in June 2009 in the Brown Scapular because she promoted the Brown Scapular. And Vox, you are so right. The little Infant was the love of her life. May she be with Him forever! Christ is risen from the dead, conquering death by death, and to those in the tombs bestowing life. A Crusader for Christ in defending the authentic Catholic Faith from Her enemies which whom became Mother Angelica enemies. How can you not absolutely LOVE this woman!! What a LIONESS for Christ in His Church she was!! When Fr. Robert Bonnet (sp?) told her 'she wouldn't own the network forever' she said: 'I'll blow the damn thing up before you get your hands on it!' She wasn't afraid to confront the modernist Bishops in the Church boldly and publicly! She fought for Christ in His true Church with everything she had, and dying on EASTER SUNDAY was her reward!! I'm sure Mother is in perfect happiness with Our Precious Lord and His Mother. Mother, now that you are there face to face with Our Lord, PRAY FOR US, PRAY FOR THE CHURCH!! We now have a true WARRIOR in Heaven to help us!! ALLELUIA!! Another saint in Heaven praying for us and the turnaround of the Catholic Church away from Modernism. The day Christ called her speaks volumes. I am already praying to her! Thank God for the saints He gives us, even if His Church doesn't want to know them. Our prayers & thoughts are with her congregation of sisters who will desperately miss her. RIP Mother Angelica. The popular proclamation of a Saint is an ancient thing. Yet, mother would want us to pray "for" her. Let's be sure of that. You're absolutely right, Vox. Mother Angelica would want us to pray FOR her. She also promoted praying for the Poor Souls in Purgatory. Eternal rest grant unto her, O Lord, and let perpetual light shine on her. May she rest in peace. Arise, O God, and let Your enemies be scattered, and let those who hate him flee from before His Face. Christ is risen from the dead, conquering death by death and to those in the tombs bestowing life. As smoke vanishes, let them vanish,as wax melts before the fire. So let sinners perish before the Face of God, but let the righteous be glad! "I'm so tired of you liberal church in America"
See video on Church Militant. Mother Angelica, thank you for all you did. Eternal rest grant unto her O Lord. Mother will be a Saint!! Elizabeth, will do so shortly. Christ is Risen. He is truly risen. I have great love and respect for Mother Angelica. She blessed me in many ways. I pray for her eternal rest. Today on Crux, John Allen offered the following about Mother Angelica: "The fact that EWTN succeeded where other efforts to build a Catholic presence on cable failed, including one backed by the U.S. bishops’ conference, illustrates a core truth of the media world: At the beginning, you don’t need deep pockets, sophisticated technology or extensive delivery platforms. "All you need is one charismatic personality whom people will crawl over hot coals to see or hear, and everything else will take care of itself." I understand what John Allen meant. However, he expressed himself incorrectly. The success, in the holy sense, that Mother Angelica enjoyed, went far beyond her being merely a "charismatic personality". Mother Angelica succeeded as the result of her defense and promotion of Catholic orthodoxy. Liberals dominate a great many Catholic dioceses/parishes. Liberal Catholicism enjoys it's share of charismatic personalities. But the only thing that liberal Catholics have accomplished is the emptying of churches, seminaries, and religious orders. Expect for having developed a few "true believers", liberal Catholicism has never succeeded in producing a powerful movement filled with people who "will crawl over hot coals to see or hear". Liberal Catholicism has succeeded by having placed a few key people here and there who have presided over a diocese, a seminary, etc. A few liberals in positions of power can dominate a diocese. However, even the most charismatic liberal Churchmen have failed to generate powerful followings among the mass of people. The reason is that liberal Catholicism is hollow...empty. It is unexciting to the mass of people. Example: How many people are willing to drive 50...100 or more miles to worship at a typical banal liberal Mass? During awful weather, how many people would attend a rally to hear a liberal Catholic speak? Conversely, Mother Angelica attracted/developed millions of people who would go to the mat for her. More important, she developed millions of people who would go to the mat for Holy Mother Church. Why? The reason is that Mother Angelica granted millions of people access to Catholicism...orthodox, true Catholicism. Orthodoxy, in turn, infuses Catholics with a strong Catholic identity. Mother Angelica was a charismatic personality. But that isn't the main reason behind her success". Mother Angelica succeeded primarily as the result of her defense and promotion of orthodox Catholic teachings and practices. Mother Angelica succeeded as the result of her love of and commitment to God and His Truth. In turn, that allowed her to impart to people a strong sense of Catholicism. Instill within a person a strong Catholic identity...in turn, he or she will "crawl over hot coals" to follow a person who speaks the Truth. Mother Angelica spoke the Truth. You're absolutely right. The liberals HATED her. I remember when Cardinal Mahony issued his letter on the Eucharist. The Real Presence of Christ was relegated to a footnote. Mother commented on it and defended the Real Presence of Our Lord in the Holy Eucharist. When someone told her that it was in a footnote, she said (I'm paraphrasing here) that she doesn't read footnotes. Whereupon Mother Angelica Live was blacked out on TV in the Archdiocese of Los Angeles, until she apologized on the air. She didn't want to hurt anyone's feelings but she said that she doesn't read footnotes. (Who really does except scholars and people who like to read them?). Mother would give the truth with both barrels. You couldn't pull the wool over her eyes. No sir! May she be like St. Therese who wanted to spend her Heaven doing good on earth. A quick shower for Mahoney! As with so many people, this good lady changed our lives. May she rest in God's peace. A Blessed Easter season to you and yours. The death of a famous entertainer or athlete is covered to the hilt by the news media. CNN, MSNBC, FOX News, as examples, will devote hours of coverage to such a figure. But Mother Angelica's falling asleep in Lord will not receive even a microscopic amount of coverage that is devoted to the passing of a celebrity/athlete. The national grief that accompanies the death of a celebrity will not be granted to Mother Angelica. But millions of Catholics throughout the world will pray for Mother Angelica. They are aware that Mother Angelica cooperated with God to broadcast the Good News throughout the world. They will recognize the beautiful and deep love of God that Mother Angelica held within her heart. Finally, the resistance to her ministry that Mother Angelica had received from many bishops is, at least to me, very telling. However, there is something that is far more telling than that. That is, despite such resistance from powerful Churchmen, Mother Angelica's God-centered ministry succeeded in reaching millions of Catholics. God blessed His people with a holy and great woman...our beloved Mother Angelica. You're absolutely right. I checked out the websites of our local media. One had a blurb on Mother, one had a video and the main channel had nothing. ABC World News didn't mention it either. Now, if it had been a movie or rock star, you'd hear about it for at least a week. Margaret, you're right. A movie or rock star's death would have generated publicity for a week. Tens of thousands of people would have planted teddy bears and balloons at street "shines" across the country. But the world does have any use for Mother Angelica. But God's True Flock recognizes Mother Angelica's holiness and cooperation with God to spread the Good News throughout the world. That is what counts. I just read something that reaffirms her holiness even more. Fr. Joseph Wolf of EWTN said that Mother communicated to the nuns quite a while back that when the end comes, she did not want any kind of pain reliever, she wanted to offer all to the passion of Jesus. Well, on Good Friday, starting in the morning, she began an agonizing pain event that lasted until 3:00 pm. It escalated from morning on. She was yelling out in pain that the nuns said you could hear all the way down the hall. After 3:00, she began to settle down considerably. I do believe at that point, she was on the cross essentially. I pray for her and at the same time, ask her to PRAY FOR US! A woman accepting John Paul II as true pope and a saint? Well, if anyone can do that one, it would be Mother Angelica!